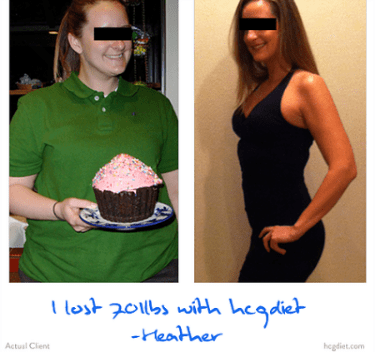 What is the HCG Weight Loss Program? The HCG Weight Management Program is a revolutionary new diet program designed to make your body burn fat without overwhelming hunger or low energy levels. HCG or Human Chorionic Ganadotropin is a hormone found in a woman’s body during pregnancy. It’s main function is to protect the fetus by allowing a high level of nutrients to be available in the blood. If necessary, this hormone will allow the body to tap into fat reserves that it normally wouldn’t be able to use. The HCG diet is so revolutionary because it allows your metabolism to maintain normalcy while on a reduced caloric intake. Normally when you diet, your body will essentially go into starvation mode. It will slow down your metabolism to save energy, lowering your energy level. Also, the body will be more hesitant to use fat, and burn fat and muscle for its energy requirements reluctantly. Finally, your appitite can increase which can be hard to control. To the body, fat is worth its weight in gold, so naturally it will fight to keep its precious reserves by giving you low energy, hunger, and a slowed metabolism. Losing weight is hard enough without going to battle with your own body. HCG will allow you to work with your body to manage your weight by enabling it to use fat for everyday energy requirements willingly. HCG will allow fat to be one of its main energy sources, ending sole reliance on food, eliminating hunger, and allowing the metabolism to maintain its normal speed, even on a reduced caloric intake. Unlike other diet plans or pills, HCG works with the body to lose weight. It is not a laxative, or a stimulant and is completely safe for men and women. Most people lose between one half to a pound a day on this system, and many have reported losing more! HCG has taken dieting to a new level of ease and safety. If you have more questions feel free to call (618) 466-9496 for a free consultation. ​Dutch Hollow sells both HCG injectables and HCG drops, as well as many other Weight loss products.